For performance and longevity heating stoves should be painted. The paint need to be special stuff to adhere to metal under hot conditions. 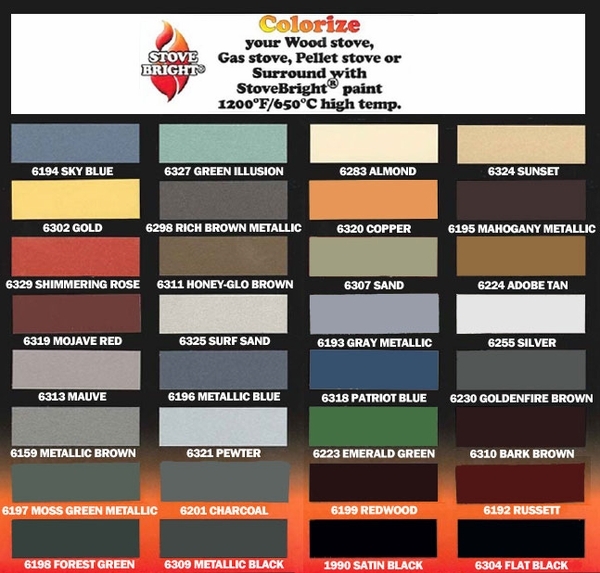 Stove Bright paint will hold its color up to 1200 degrees Fahrenheit. It comes in easy to use 12 ounce spray cans. It is great for touching up spots that are worn. It can handle chipped and scratched areas. It is also good for areas that are bleached out the heat. It comes in a variety of colors. Can this be painted on masonry in a gas log fireplace? 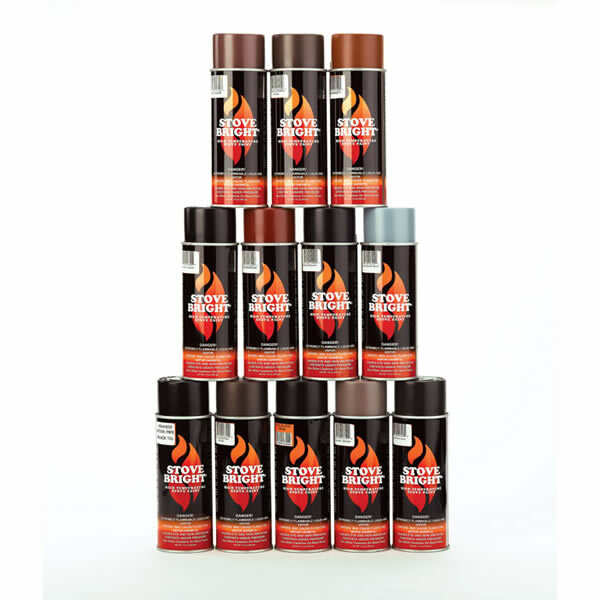 For a masonry fireplace with only gas logs being used, you can indeed use this product. The interior of the box should be thoroughly cleaned to remove any residue that exists. Does this have a metallic or gloss finish? This particular paint will have a satin metallic finish. Can I use this in a cement fireplace? 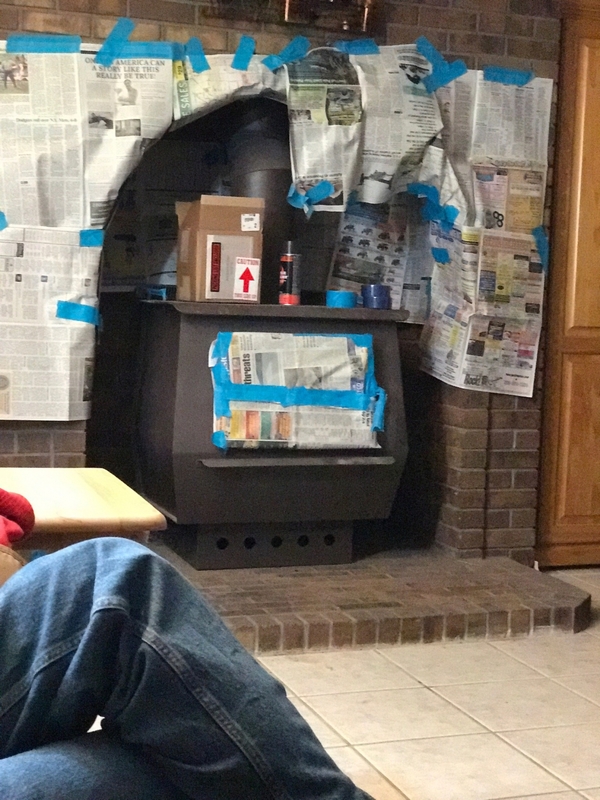 I do not recommend using paint inside a cement fireplace. The temperatures that are reached will cause the paint to lose its color and eventually flake off. It is only recommended to use a good quality refractory mortar to resurface the interior of a block/cement fireplace. Can this be used on stainless steel? It can indeed be used on a stainless steel surface. Please keep in mind, though, that the steel must first be properly prepped to accept the paint. We are very please with this paint which was applied in 2005 or so when we bought the stove. It still looks good and compliments our pine paneling and furniture. 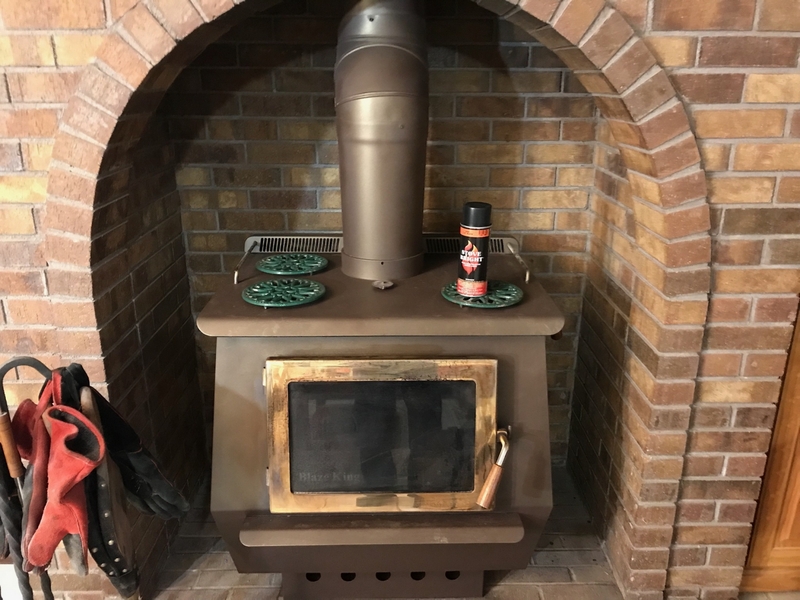 I recommend getting extra, because stove merchants no longer offer to paint the stove for you, so the lack of demand may lead to the product being discontinued. Fantastic product. Results were amazing. My stove looks like it came from the factory this color. Used it again today for a touch-up and again had great results!